T’was two months before Christmas and all through the house… the family saw visions of fashion, decor, and gifts. The children were excited to start their lists! Looking for Christmas Clothing, Decor, and Gifts? Check out this year’s Christmas Collection at SugarBabies. From casual to couture, we’ve got you covered! Mud Pie has done it again with casual fun and classic looks for winter! The Alpine Village Collection, Very Merry Collection, and Season to Sparkle all have adorable looks featuring buffalo plaid, reindeer, trees, and even some sparkles! First of all, what is more precious that baby’s first Christmas! 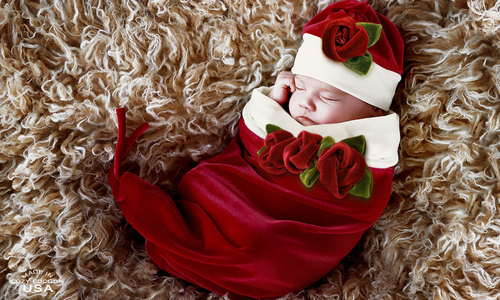 Capture those precious moments with one of our adorable newborn holiday newborn outfits. Your best gift ever will be picture perfect all wrapped up! Browse the Newborn Photography Section to see the sweetest options… Santa Stocking, Nicholas Santa, Baby Deer, My First Christmas, etc. Haute Baby and Isobella & Chloe have created some beautiful holiday looks this year. 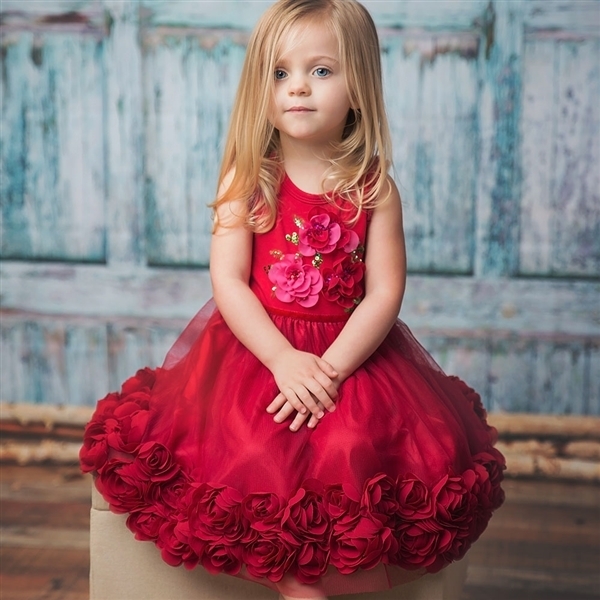 The Ruby Sparkle Collection from Haute Baby features gorgeous red fabric, feminine ruffles and stunning floral finishes your daughter is sure to be the belle of any Holiday party! Isobella & Chloe never disappoints and this holiday collection is no exception. These gorgeous gowns will make your girl shine this holiday season! Welcome to Mustard Pie Clothing Holiday 2017 collection, Mystic Evergreen, a cozy collection of gorgeous Christmas patterns & dots, classic holiday colors, soft cottons, lots of ruffles and one-of-a-kind designs! The Woodland Magic Collection from Mustard Pie is also sure to please. We also love the classic combination of black and burgundy of the Giggle Moon Precious Ruby Collection as well as the stunning cool blues and greens are featured in the Brilliant Sapphire Collection… perfect for winter photos. The Juliette features beautiful floral print with embellished flowers overlays a tulle petticoat. As a result, this stunning floor length gown is designed for an entrance! The vintage cowl neckline and full skirt will have her twirling with the holiday spirit. Pair with the Victoria Jacket & Arabella Shoe for the complete look! Furthermore, we’ve gathered some of the best Holiday Decor to share with you. Casual, classy pieces that adults and kids alike will love to decorate with year after year with gift bags, pillows, plush toys, plates for goodies, and more! Gifts to make your heart melt! Finally, the snuggle is real with a great selection of plush toys from Jellycat and more. Unicorns, bunnies, fox, and flamingos, oh my! So many adorable animals, it’s hard to choose a favorite! 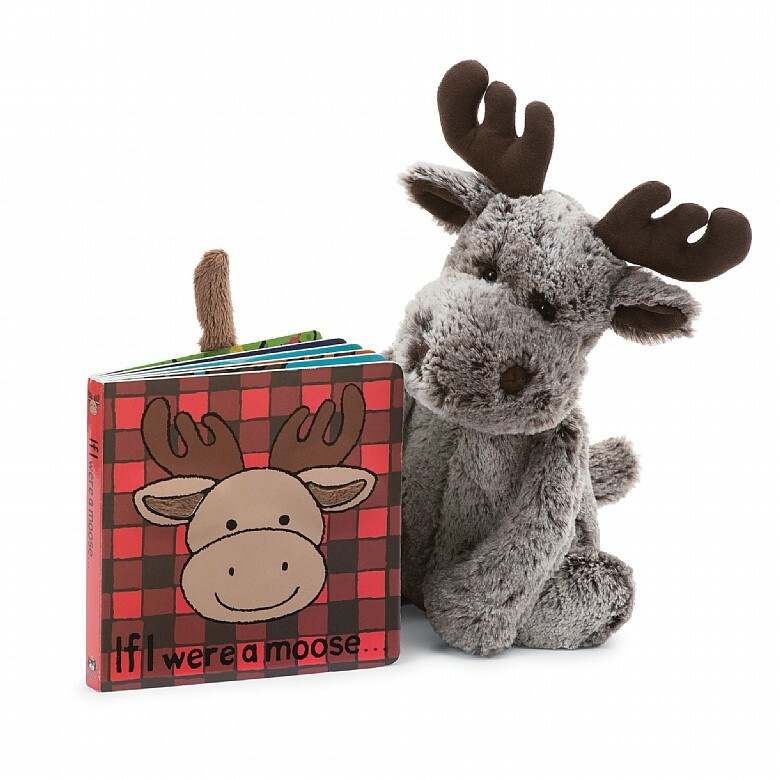 Another great option, pair the ultra soft Bashful Reindeer with “If I were a Reindeer” book for a holiday-inspired gift any little one will enjoy! ULTIMATE GIFT GUIDES COMING SOON! Next, we will be launching our blogs outlining the season’s best gifts. Stay tuned! Crafting Christmas Ornaments with the Kids!